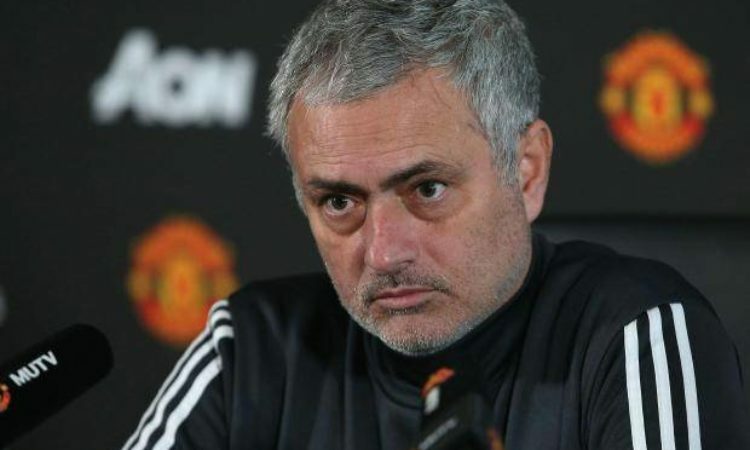 Manchester United’s controversial manager, Jose Mourinho, could be set for a war of words with Liverpool gaffer, Jurgen Klopp. Mourinho is definitely not a coach who is scared of letting a rival manager know his mind and in one of his most infamous spats had labelled Arsenal manager, Arsene Wenger, a ‘specialist in failure’. This time it is Klopp who has scores to settle with the ‘Special one’. In comments made in his pre match press conference ahead of Southampton’s visit to Old Trafford on Saturday, the former Chelsea manager aimed a thinly veiled dig at Klopp over Liverpool’s decision to splash out to sign Virgil van Dijk by reminding him he was once critical of Manchester United’s world-record move for Paul Pogba. Dutch defender, Van Dijk, is set to move to Liverpool from Southampton on January 1st in a £75 million deal that will make him the most expensive defender ever. The 26 year old’s move spells the end of a protracted transfer saga that began last summer and his arrival is tipped to transform Liverpool in genuine title contenders. Klopp had drawn Mourinho’s ire in the Summer of 2016, when the charismatic German criticised Pogba’s £89.3 million move to Old Trafford, which at the time was the most expensive transfer in World football. He had reasoned at the time that he “would do it differently” if it were up to him. Mourinho, however, stopped short of criticizing Klopp for his comments, but instead chose to use the occasion to remind his Liverpool counterpart how out of place his words look, 18 months after he said them. He said: “You know, I think the one that speaks about it in a specific way has to be Jurgen, and if I was one of you I would ask him about his comments about one year ago. Mourinho had earlier this week, in the aftermath of his team’s draw at home to Burnley, asked for more financial backing from the Manchester United board and when asked to give his opinion on Van Dirk’s transfer fee, the Portuguese coach refused to criticise the hefty price tag. Instead, he insisted the asking price for the former Celtic centre-back is just another example of an inflated market. He added: “I am not saying with 10 years ago but three years ago, to compare is impossible. You cannot compare the realities. “Virgil van Dijk is the most expensive defender in history of football, was he better than Maldini, Bergomi or Ferdinand? You cannot say that. “It is just the way the market is and you pay or you don’t pay.